Let the race begin! Add some action to your walls with these Mario Kart 8 giant wall decals from RoomMates! 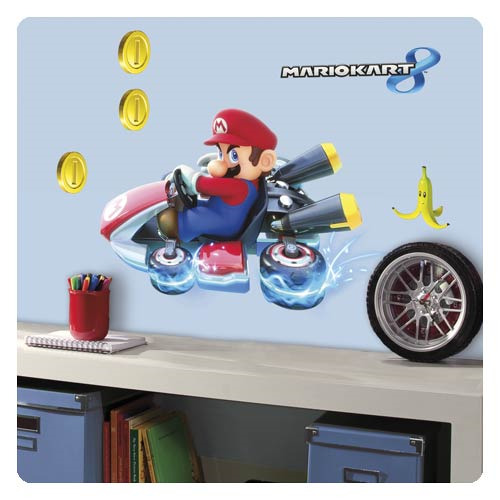 Great for video game enthusiast of all ages, these Mario Kart 8 wall stickers are a great way to bring the video to life. To apply, just remove each wall sticker from the high quality backing and apply them to any flat surface. Removable and repositionable, they're easy to apply and don't leave any residue behind! Decals range in size from 3 3/4-inches tall x 3-inches wide to 25-inches wide x 16-inches tall.